Before you can establish whether or not cloud computing is right for your business, it is necessary to understand the differences between the forms of cloud computing that are available to you. Known by the potentially confusingly similar acronyms, IaaS, PaaS, SaaS and EaaS, each of the four represents a very different kind of service that can offer your organisation something specific. Infrastructure as a Service (IaaS) is perhaps the simplest form of cloud computing that you could select for your business. Here you simply hire IT infrastructure and systems such as storage, servers and networks from a provider of cloud services. Typically, you would commit to IaaS on a pay-as-you-go basis, which is why it so popular with smaller growing businesses. Platform as a Service (PaaS) is ideally suited to businesses looking for an environment for all kinds of work on software and applications, including their creation, management and testing. Often supplied to organisations on-demand ensure it is as easy as possible for developers to work on mobile and web applications without having to deal with the challenges of management their own infrastructure. Software as a Service (SaaS) usually provides software and applications and, crucially, takes care of the maintenance and upgrades to the infrastructure. It is usually offered on a subscription basis and maybe best suited to larger businesses with more specific needs. Everything as a Service (EaaS) can mean a number of different things, but is typically thought of as the broadest and most all-encompassing package of cloud computing services and solutions. Once you have chosen the kind of services that you require for your business, you will need to make a decision on how those cloud services will be deployed. There are three main options here: public, private or hybrid. Public clouding computing is the most common form of deployment. It is operated and managed by one of the providers such as Amazon Web Services or Microsoft Azure. 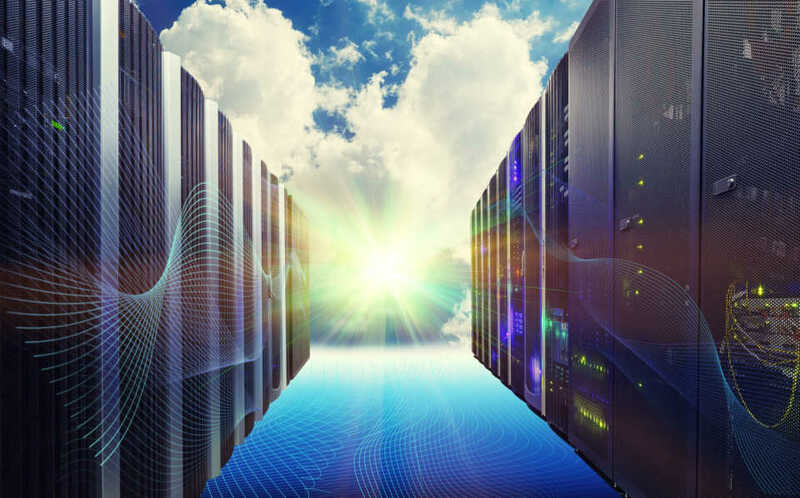 The key advantage of public cloud deployments is the fact that all of hardware, software and infrastructure are actually managed by the provider of the service – so for smaller businesses, and those lacking technical expertise, this may be the perfect option. In contract, the private cloud is an individual deployment of cloud computing – it is run by one single business for their own use. Private clouds are typically only possible for larger organisations that have the IT staff and experience to maintain the services themselves. However, it should be noted that it is possible for businesses with a private cloud to employ a third-party provider to deal with the hosting. The third kind of deployment is known as a hybrid cloud. As the name implies, this type of deployment takes a mix of public and private cloud services which can provide better flexibility. Now you understand the different cloud computing options available, you might be wondering how they can benefit your business. There are actually a broad range of advantages in using cloud computing depending on how you use the services, as well as what you are hoping to achieve. For example, having your own server or data centre can take up a great deal of time from your staff as they manage and maintain them. Setting up hardware and patching software can be an in-depth job and take time. Working with a cloud service takes away the need to manage the system for yourself. Additionally, there are excellent cost saving opportunities. Cloud service providers will only charge you for the services and space that you need. So, there is no need to financially burden yourself with a very expensive server.